A bonding, or composite, is a tooth colored restoration that can be placed both in the anterior or posterior areas of the mouth. 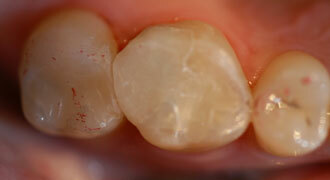 Composites are an alternative for amalgam (silver) restorations. They can also be used as a cosmetic restoration to brighten, or recontour front teeth for esthetics. They work well in the posterior regions of the mouth (premolars and molars), if the filling to be placed is small and not too deep. Composites bond very well to the enamel, (the outer covering of your teeth). They tend to break down and stain over time if the filling is large and bonded primarily to the dentin, or deeper layer of a tooth. At my Daytona Beach dentist office, I place many composite restorations and they are predictable and work well in the right place. The alternative restorations on the front teeth would be porcelain veneers, or all porcelain crowns.